Ok, sorry, but also a log file would be great to see if your camera was truly online or active all the time. And who was watching at a certain time. And stealth mode would be nice. Or a timer when you want camera to be active. So you can work more efficient on battery.
. Can you please tell me how to delete the videos at i do not want to keep. If you want to save any of them, please check this out! Hope this helps! Please do not hesitate to let us know if you have more questions! 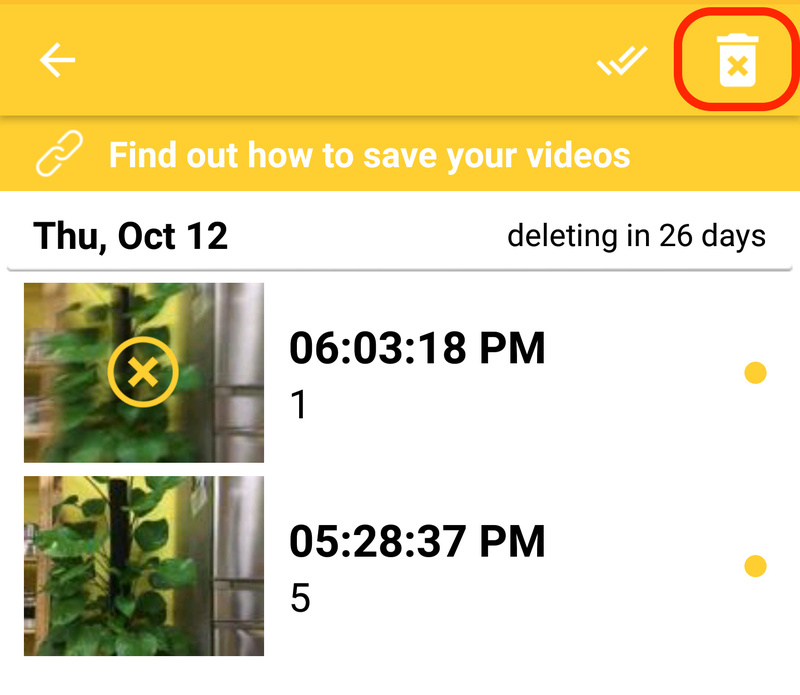 Hi thanks for this very nice app i do have a request ,I would like to know if alfred can be set on motion detection so that it sent only a picture and not a video , as it use a lot of data and is costly ± 50 rand for 5 min of video , secondly how do i set it up without a sim card as it is claimed ,my biggest problem is the cost of data , can i reduce it? Alfred’s Motion Detection captures 5-30 second clips. They are compressed and then sent to your Viewer Phone. Do you have a WiFi connection at home? You can connect your Camera to your home WiFi so you don’t have to pay extra for mobile data! Thanks for sharing more info! Unfortunately, for the moment Alfred’s Motion Detection only records clips. I assume you get a lot of notifications because the cattle constantly moves. Have you tried to lower the sensitivity level maybe? Thank you so much for reaching out! We actually haven’t changed much at all about the Low-Light Filter feature. Did anything change in your environment? It could be your setup and so on! Mine works great for my cat. I have a night light by her food & litter box & get get good video with the main light off & only the night light.